Making a card with sawdust also gives me a chance to experiment with my friend Amy Anderson from Mod Podge Rocks first ever craft product line - Mod Podge Rocks! Peel & Stick Stencils. 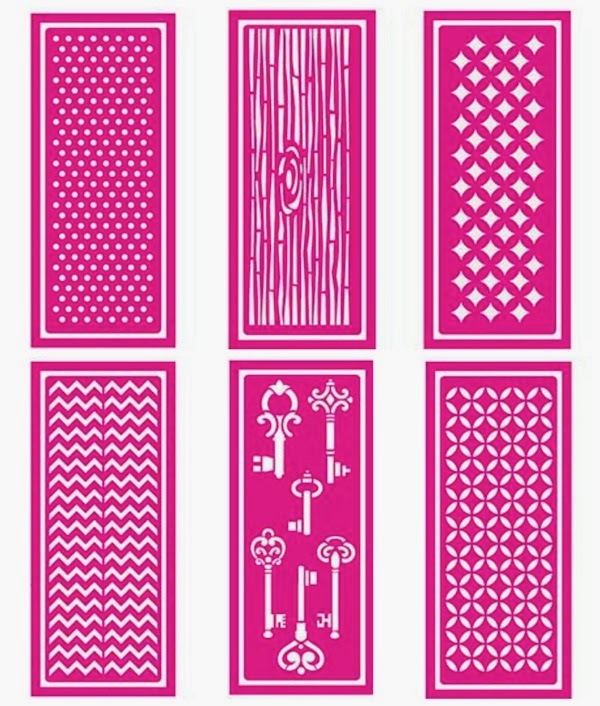 Amy created her reusable peel and stick stencils in six versatile designs Dots, Wood Grain, Starlight, Chevron, Skeleton Keys, and Tangier that you can use as a project background or as a stand alone design. Amy designed Mod Podge Peel & Stick Stencils to allow crafter to create detailed designs with Mod Podge and glitter, sand, or anything "grainy." Mod Podge Peel & Stick Stencils are washable and can be used up 20 times. I appreciate this because I can't tell you how many stenciling projects I've messed up because the stencil shifted on my project. I'm not always fond of using spray on stencil adhesives due to what they may contain especially if I am crafting with kiddoes or under Lacey's watchful eye. Glitter isn't exactly something in my wheelhouse, but I think it is good to stretch yourself. I stretched myself a bit more and used sawdust to make my homemade Valentine. 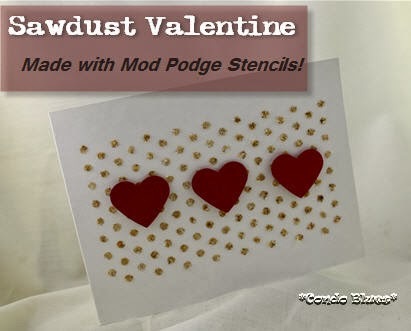 For you glitter folks, I made a second Valentine to show you what it will look if you use glitter instead of sawdust with the Mod Podge Stencils. 1. 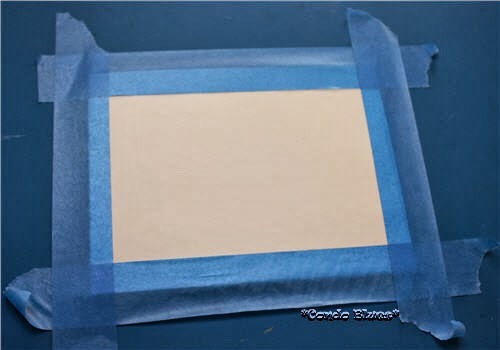 Use the painter's tape to create a border around the front of your greeting card. 2. Position the Mod Podge Stencil in the center of your card. 3. Use the pouncer to apply a thin coat of Mod Podge to the stencil. Tip: work quickly. Mod Podge dries fast. 4. 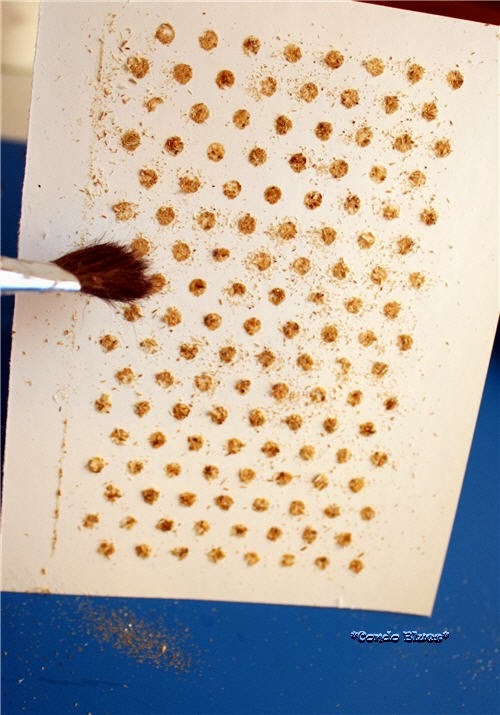 Sprinkle sawdust onto the stencil. Depending upon the type of texture you want, you may want to use finer sawdust from the collection bag of a palm sander than the course sawdust I used from my compound miter saw. Have fun with it! Experiment! 5. 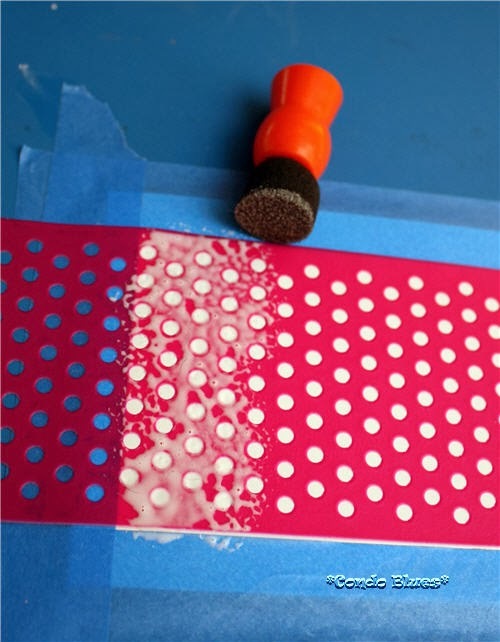 Carefully remove the painter's tape, stencil, and excess sawdust while the Mod Podge is still wet and immediately wash any over flow Mod Podge from the stencil so it perfect for your next product. Allow the Mod Podge to dry completely on the card. 6. 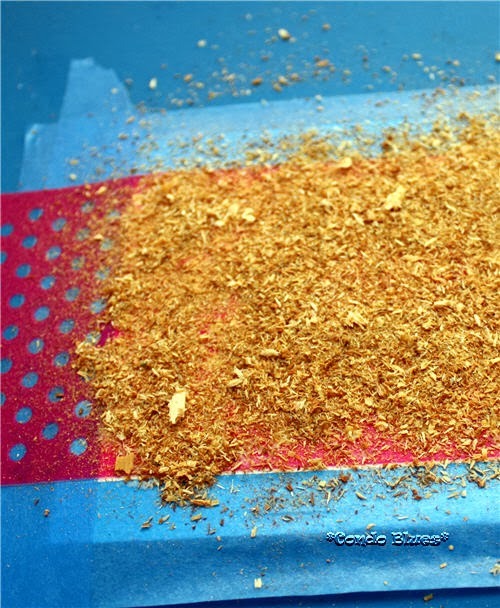 Use a dry paintbrush to brush stray sawdust from your design. 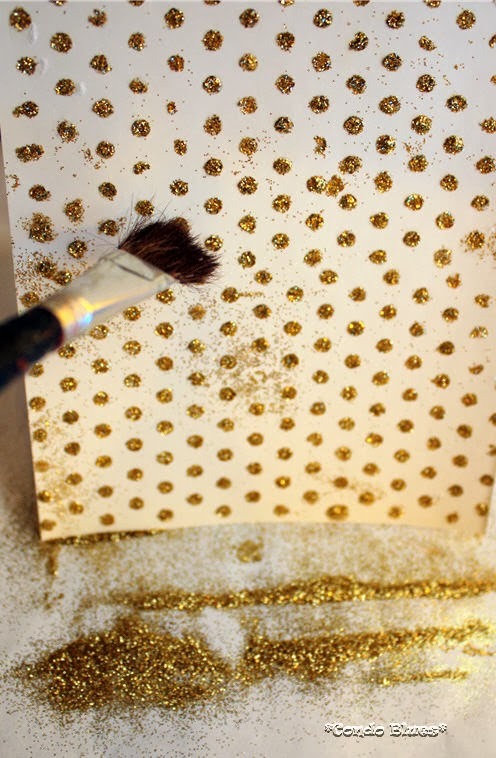 Tip: If you are using glitter, you can place a piece of paper under your project, dry brush the stray glitter onto the paper, and use the paper to funnel it back into the glitter container. 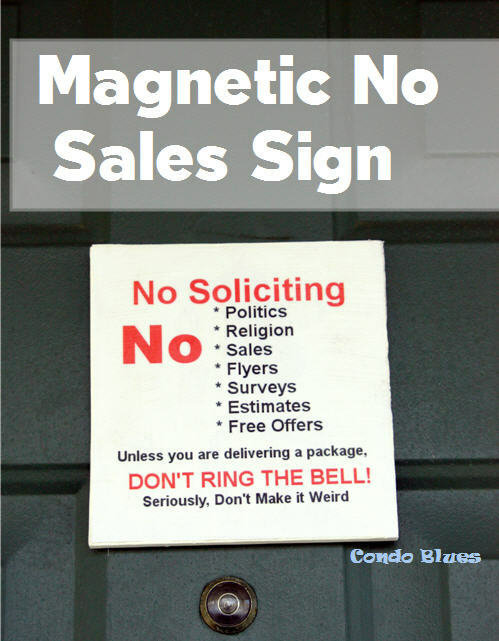 Waste not! Amy taught gave me this tip. She's smart. 6. Draw a heart shape on the scrapbook paper and cut it out with the scissors or heart shaped paper punch. 7. 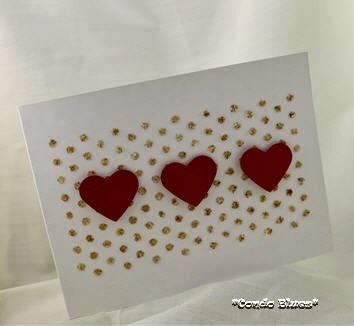 Attach the heart shape to the center of the card using the Mod Podge 3D Foam Adhesive Mounts. 8. Give it to your favorite homemade Valentine! If you want some Mod Podge Peel & Stick Stencils for your very own (and I know you do) they are available only at Michael's. 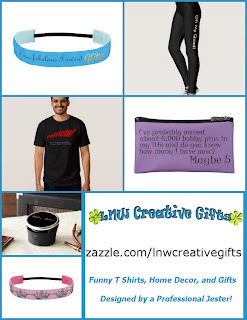 Be sure to check out Amy's blog Mod Podge Rocks! 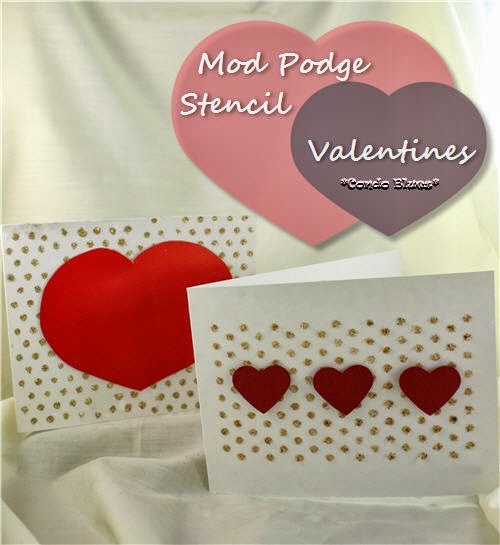 for more Mod Podge Peel & Stick Stencils crafts and all things Podgey! Disclosure: I am not being paid to endorse this project in any way and all options are 100% my own. I was provided with a product sample to create this project but truthfully, I would buy it with my own cashola because I think it is useful and brilliant.